Beautiful leather, unique and elegant design (with easy access bill pockets), and masterful stitching and finishing. And shipped immediately! Plus the usual friendly and helpful customer service I've come to expect from Keegan (after SEVERAL different purchases from him!). 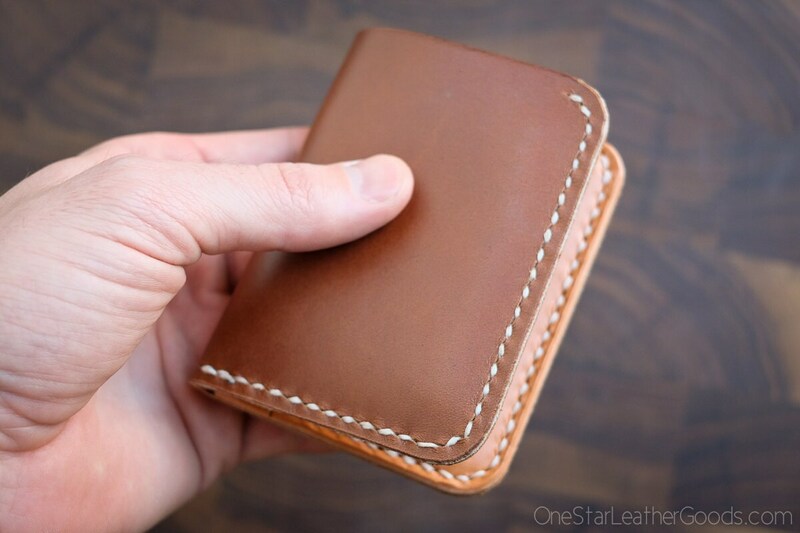 You can't go wrong with One Star Leather Goods! 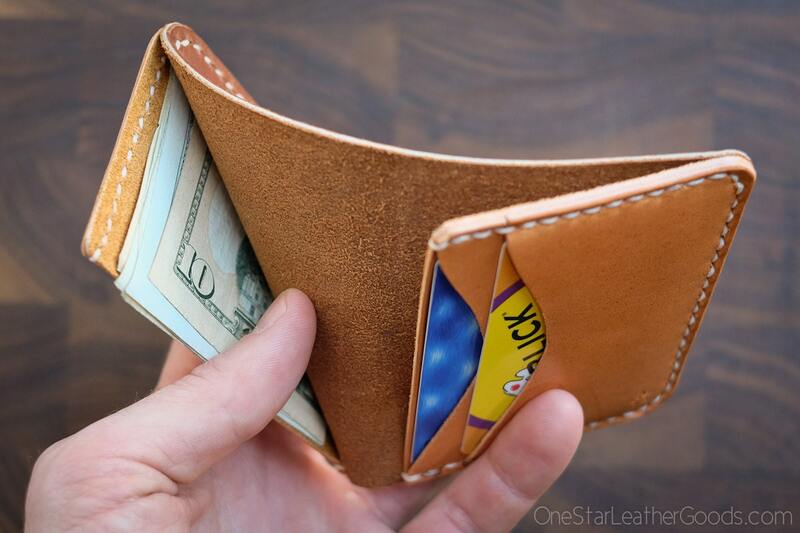 Lovely wallet, seems to age very nicely. 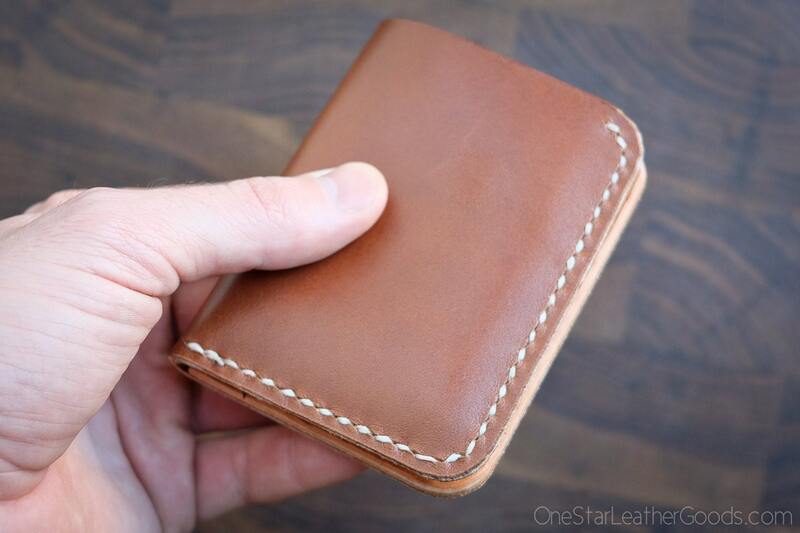 I've spent years looking to replace a full-grain Studio d'artisan small wallet with a similar layout, that finally wore out after almost 10 years of use. Designer "high quality" wallets that are made of soft but thin leather lined with fabric (or even coated fabrics, like LV -- ick!) last a year or two MAX, and can cost much more. 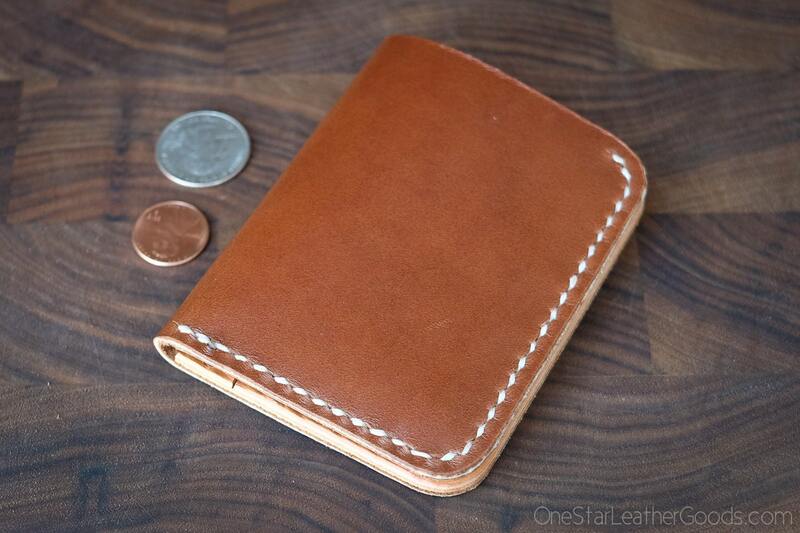 Full-grain wallets of the highest quality (like this one) from Japanese brands can cost hundreds of dollars and are usually STILL not as well designed as One-Star. I feel lucky to have found this incredible shop, and so should you! This is a wonderful piece, even nicer than my high expectations. Beautiful leathers, clever design and spotless execution! I used Priority Mail, and the shipment arrived the US east coast two days after placing the order. 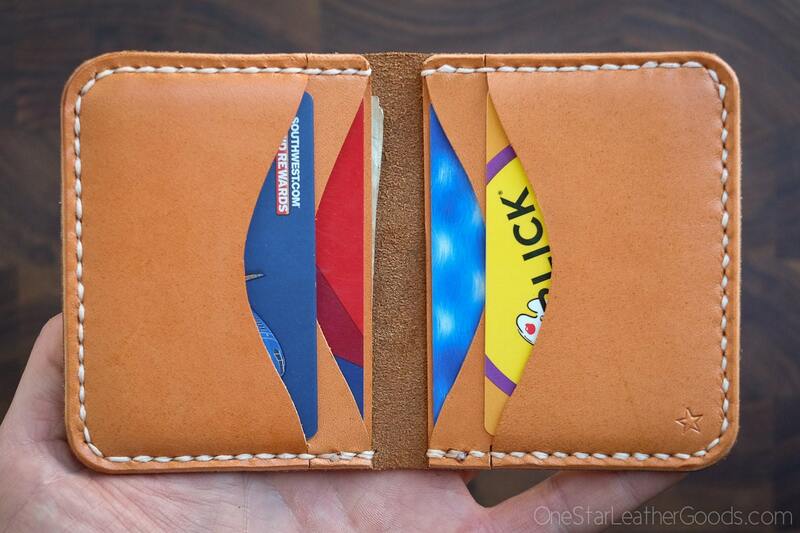 Great wallet, great service! Great quality product. Delivered in about a week.